When its mid-term and you’re dreaming of your next uni holiday; something a bit more adventurous then a YouTube-and-tea break from revision is needed and holiday sites become your new best friend. Idyllic islands and crystal blue seas capture your attention, white sand shores and glitter faced festival dreams fill your mind, before the reality of your student budget kicks in. However, below is a list of holiday destinations won’t cut that want for summer warmth short, as they countdown the cheapest places to fly to, from the very close-by Southampton Airport. Here are the cheapest places to fly to from Southampton. Now, all you have to do is study hard and submit your work before you jet set off and take to the skies, leaving uni stress behind and keeping more sterling in your account then expected. Bring on the hols! In keeping with Solents creativity, Nice is the place to jet to for local art. Musee’s full of famous artworks from renowned previous residents such as Henri Matisse are on display. Step outside and you can see the sunny source of many works’ inspiration, with stretching beaches that make the inner photographer in you want to capture that orange flamed gradient of a sunset that rests on polished earth toned pebbles. Become a local and browse the markets whilst picking up elements of the French language (something to bring back home!). With this holiday well under £300, there’s plenty of spending money left over! This city was named third position for the highest quality of life. It becomes easy to see why when Lake Geneva, St. Peter’s Cathedral and it’s famous fountain, the Flower Clock in the English Garden, is all on your doorstep. It’s buildings make for amazing photos, aswell as the multitude of colourful flags that line the birthplace of the UN and the crisp white of snowcapped peaks – if you feel brave enough – to later ski among. Walk, ride, and ski through the city, capturing these insta-worthy moments, before starting your next year refreshed. You don’t have to travel far to feel as though you’ve been on a (somewhat) tropical holiday. The island of Guernsey is just off the English Channel, but with weather this warm – and lack of rain, you’d feel as though you’re much farther afield. Honestly, goals. With such a cheap travel cost, prepare to indulge in outdoor activities you’d only dream of, back in your rainy room at uni. Coasteering, kayaking, windsurfing and hiking to name a few! With water all around it feels like it’s just you and your friends on the island. And what better way to spend some of this quality time than exploring the sites and following the myths. One ancient burial site to discover ‘Le Creux es Faies’, has a tomb, where it used to be believed that it was ‘a gateway to a magical fairyland’. Maybe that’s not true, but judging by the sun saturated pictures and the current downpour outside my window, it’s definitely looking like one. In Faro, you won’t have to miss out on the student scale nightlife, with 8000 students in the city. It’s as if you’re still in Southy Central – just a lot warmer. It almost feels like a town that’s all to yourself, as many people pass through it – but don’t underestimate what it has to offer. Stay and enjoy the marinas and parks that fill the landscape. With lots of cute little shops to pop in and out of, you’ll find the perfect holiday gift for everyone back home – as if your posts won’t be causing FOMO already. Explore further and walk through the medieval quarters – allowing you to see something other than the cultural quarter you probably walk through everyday to uni. Here you’ll find museums, churches and a bone chapel – reminiscent of Paris’ catacombs. And if you want to island hop – how very Made In Chelsea of you, visit the lagoons of the Parque Natural da Ria Formosa or the island Ilha de Faro and Ilha da Barreta for that perfect excuse to extend your hols. Time for a pint! With over a 1000 haunts, from traditional pubs to modern taverns, there’s somewhere you’ll soon claim and become a local in. A city surrounded by character and personality, both by its inhabitants and ruins that give away its 9th Century heritage, there’s lots to discover and talk about – with the friends you travel with, or by an insightful townsman or tour guide. Though it’s a small capital, it has a renowned reputation. Irish shores are sources of inspiration, paired with canals that once more define Irelands proud heritage. For well under £150, it’s the perfect reason to book an end of term Southampton escape. Only the complete opposite end of the United Kingdom, Edinburgh is an unforgettable city, that’s well worth a visit. And for this price, it wouldn’t be a surprise if you returned soon. Considered one of Europe’s most beautiful cities, it’s filled with panoramic viewpoints and rocky hills that overlook the sea and will make your Snap follower stats double, stat. Amongst this, castles create alluring silhouettes, particularly at sunrise or sunset where the sky is lined with colour. This defines the 19th Century Old Town successfully keeping up with modern advances without losing its beginnings. With Southampton Airport so close, quickly hop on a flight North to take advantage of the national galleries, museums, shops, restuarants and, depending on when you go, worlds biggest arts festival in the Summer – you creative Solent student. Visit Edwardian and Georgian tearooms at Rosylee Tearooms or have a drink at Port Street Beer House. Indulge in the scientific and industrial legacy that the city holds at the Museum of Science & Industry or take this to a more molecular dining level at Manchester House – set in a ‘60s era tower. Manchester is much more than a stadium – but there is that to! The uncrowned capitol of the north has a record attendance in its local City of Manchester Stadium, home of Manchester City Football Club, with 54,693. Built to hold the 2002 Commonwealth Games it is now a stage for football, boxing, rugby and music concerts. Who’d have thought that a flight to Paris would be one of the cheapest from Southampton Airport, though it’s definitely not a bad surprise! With local food to triple-Michelin-starred restaurants theres so much to try. Choose from classic French bakeries and cheese shops to curating your own picnic on one of the cities parks and gardens. What becomes magic about the city is its nightlife – so far from a student night out, the city sparkles (the Eiffel Tower does, literally) and creates a sense of elegance and beauty. Venture up one of the iconic buildings later in the day to watch the night unfold in the city, and the river reflect the lights mirroring tranquillity, all from above. Laced with beautiful bright tulips, gardens and parks brighten your day. What’s more, is the number of art museums by famous painters such as The Van Gogh Museum, Rembrandts House and the Rijksmuseum you’ll come across on your stay. It allows you to stop and view what feels like hidden treasures among the city. Cycling around the city to stop off at a shop, go to a restaurant for dinner or simply create your own personal route around the town adds to this sense of freedom and ‘gezellig’ feeling the capital is known for. Don’t forget to relax with a Dutch beer and watch a football match, if not purely for their home kit colour – you can’t miss them! For a little over £100, it’s a trip that wil become more than rewarding in memories to take back. A small location, yet the biggest of the Channel Islands, Jersey is a picturesque place full of beaches and coast that make you feel far away from the Southampton docks. With this being the cheapest flight from Southampton Airport available, for under £80, there’s a lot to be relaxed about. Walk among the botanic gardens and parks, learn about the story of the island and extend your trip further then the land itself, with boat tours and kayak experiences. The island, situated between England and France, is like a sun trap with its weather, that again makes you feel like you’re in a more tropical setting then just outside of our mainland. The list of cheapest places to fly to from Southampton Airport has been concluded, and with none of them costing more than £300, there’s a lot to be excited about for your next adventure. Even the cheapest ones, like Jersey, have some of the most beautiful landscapes out of all the locations and a rare sense of community among the local shops aswell as complete freedom outside on the waters, in the sun. Invite all of your friends to your next trip, making the getaway from Southampton Airport even more extra, to cause major FOMO with all of your uni mates back home. All you need now is some cool AF caption ideas. Let us know what you think about these Cheapest Places To Fly To From Southampton! Drop us a line!! 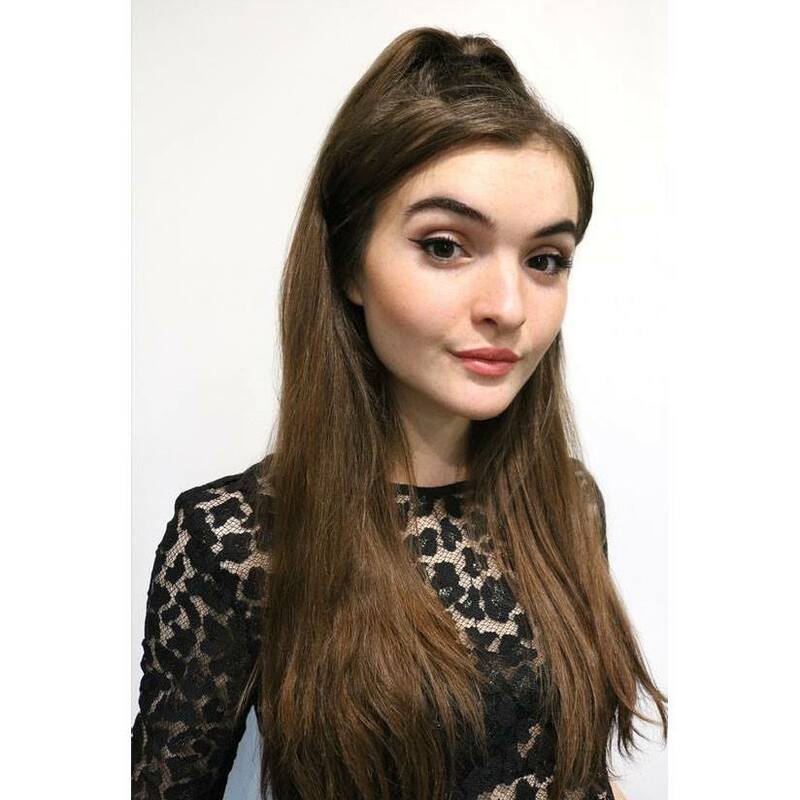 "Katherine Jette Evans BA (Hons) Hair and Makeup Design London | Southampton @kjemua"